You should’ve just taken the mud pie, dude. 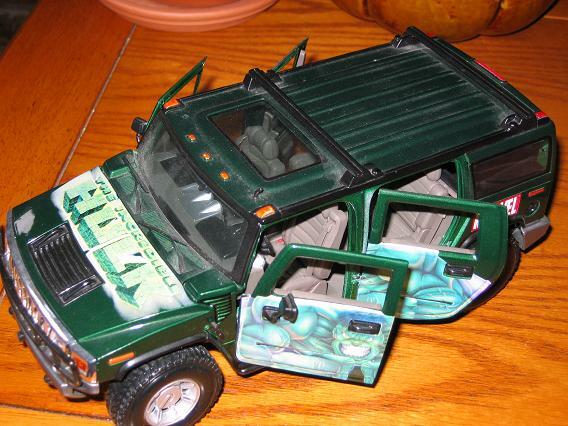 This is an exact replica of a Hummer. It’s 1/18th to scale. 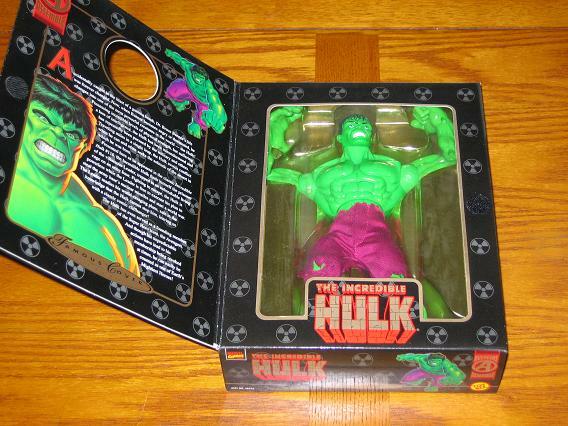 The Hulk image is not my favorite but the model is cool. I bought this at Toys R Us in Kingston. That’s all I have to say about that. I displayed the “Smash and Crash” figures before – well, this is the other line with dubbed “Outcasts” for a good reason. These guys are freaks. 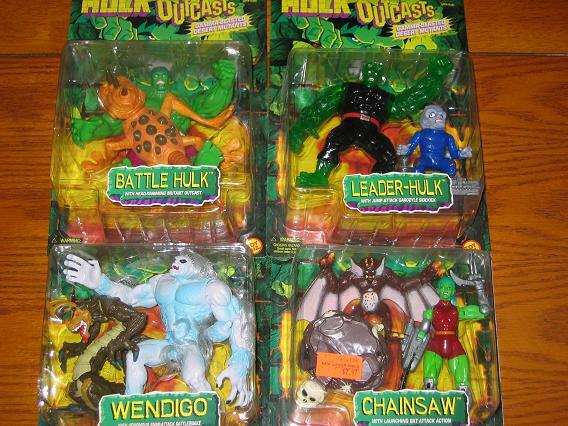 This has some good figures such as the Leader Hulk, Wendigo, and the female named Chainsaw. For some reason I am missing Two-Head. A shrimp Hulk with two heads. I’m not sure if I couldn’t find this figure or if I just didn’t buy him – but now, years later, knowing that my collection is not complete – you can bet I will be searching for this figure. You will know if I found it because it will be posted right away. When you pour a hot liquid into the mug a backround appears with scenes from comic stories. That’s cool and all – but it would be cooler if the Hulk turned grey and Spiderman turned into the black suit. You heard me Marvel! Now get to work. This is what I call the Anorexic Hulk. 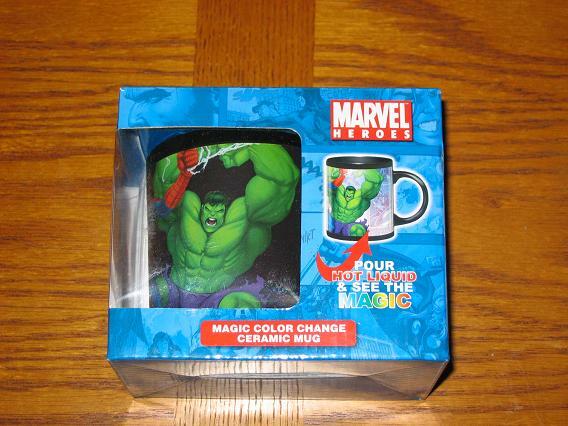 What a poor representation of the powerhouse known as the Hulk! He looks like Jr. High Hulk, or Pre-teen Hulk. 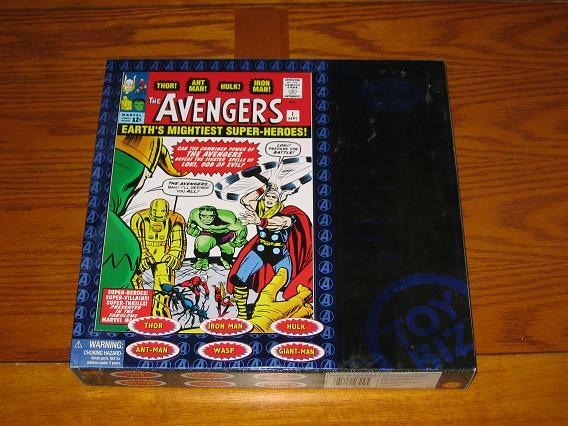 In 1998, Toy Biz offered some pretty cool figures – and then they also offered this. I remember the Spiderman Famous Covers being pretty cool. The back of the package offers an opportunity for any fan to own their very own pose-able, 8″ Aunt May! To the first 10,000 lucky people to order! I’m sorry, 10,000? Is that supposed to get anyone excited? Does that make this figure rare? Was there 10,000 people out there demanding an Aunt May figure? Was there even one? 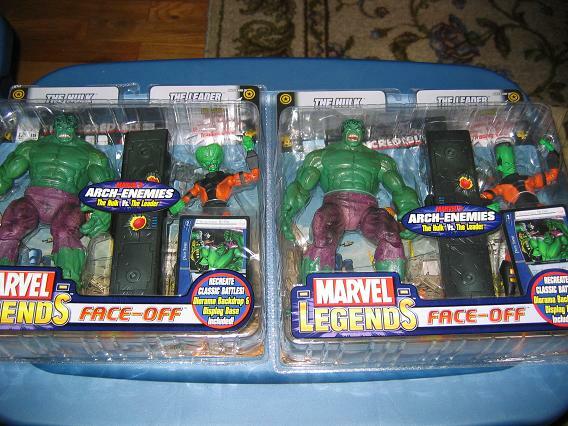 These two packs are some of my favorite action figures ever. Not only did they do new head sculpts for each variant – which I love – they chose the right villain. 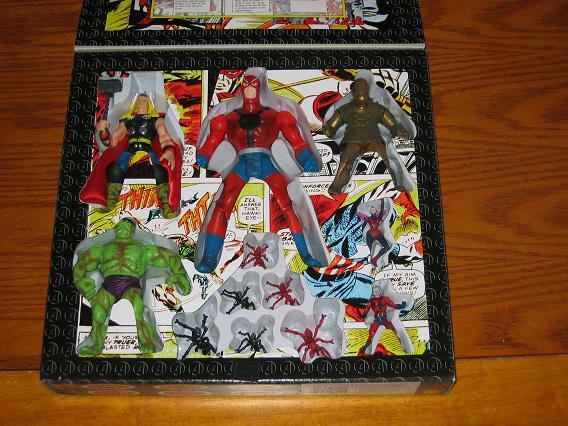 The Leader is Hulk’s best foe – and while I prefer the McFarlane-esque Leader (to the left), the 60’s Leader is classic. 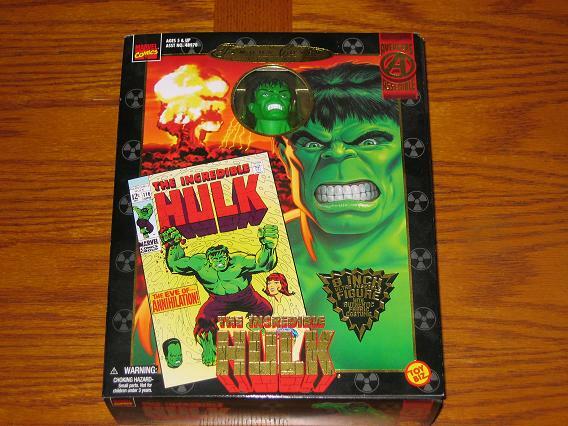 The Hulk’s in the package look mean, angry and ready to fight. 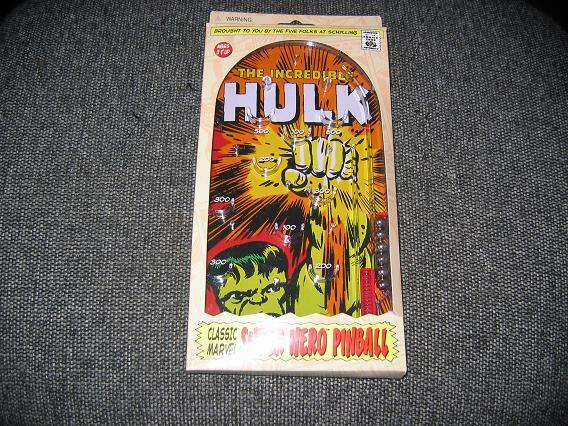 These two packs come with a reproduction of Incredible Hulk #115.